Cigarette smoking is a major public health problem that causes more than 5 million deaths annually worldwide. 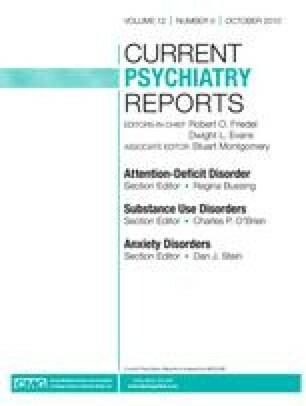 Cigarette smoking is especially common among individuals with psychiatric comorbidity, including individuals with primary psychiatric disorders and other addictions. Effective behavioral and pharmacologic treatments for smoking cessation are available. Behavioral treatments including brief (< 3 min) counseling by physicians are effective. Seven first-line pharmacologic treatments are currently available: five nicotine replacement therapies, bupropion, and varenicline. In addition, clonidine and nortriptyline are second-line treatments for smoking cessation. These treatments increase the chances of quitting smoking by two- to threefold, supporting their use in smokers who are motivated to quit. However, effective treatments for many subpopulations, including smokers with psychiatric comorbidities as well as adolescent, pregnant, or postpartum smokers, remain to be developed and represent an important challenge.